Another important thing is that you can not choose your opponent. New crews - also no rules for that - many crews are likely to be created every day by kids maybe or managers with no experience and with this new system, after 2 games in the league, they left the battle. We have only 3 finished battles and in all 3 games, managers from the crew left the battle after few matches, the total are 10 !...and what, right ? we don't want to waste time like this - if you subscribe to a battle, play till the end. To create a new crew, must be some criteria, rules, to play a battle, also rules, a minimum of games. In conclusion, we don't like so much this new system, because is not good, fair and playable. 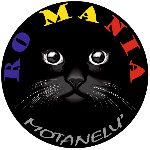 @motanelu Hi Cosmin! You are right about these reasons but I do not think the new system of battles will change too much. About point 6, GB does not allow the deliberate release of matches, so the new system does not allow matches against crewmates. @buitenom263 I have the same question. Our crew has done 3 duels against other crews and it has been 3 times in turkey, which is very boring. Is turkey the only country for duels? At this moment it is. Will be a change of country this week, is what I heard. @motanelu Hi mate I agree and I want to add one more reason... there are many cheaters, they have multiple accounts almost always, in 1 battle we played there was one person with 4 accounts on the battle. Yeah, another very good reason. I don t agree with all the points..
1— why no rulles? 'there is rulles like if you play alone you have the game rulle. Not your or the made yourself competions. 2— choose you oponent? Whyyyyy??? Its random and more dificult when you rise your rank... choose oponent is stupid!!! 3— if you do a madeself tournmount how much coins you spend? How many teams do you know that spend the 6tc each player? How many games do you know that some players buy all and others buy the essencial? Have you ever played fifa?players that spend 500euros month to have the best players and play nothing? All online game batles is random and all players have the option to creat allys. Why here is diferent? The best players search and provide the best crews. Simples that. Friendlyz? You can creat or not? The only mistake is the country durantion or not be random. 1month is long time. There a many teams that use TC as often as possible. It is annoying. I don´t now wether they use a hack or spend much money. Maybe it´s only much cheaper not paying in Euro. For us battles are not fair anymore. Battles should be without TC. It´s more about tactic then insteat of coins.